Now is the time that I wanted to be able bring the world of Bethesda’s incredible “Fallout” series of games to readers who may be unfamiliar with it. At its best, these games are ingenious journeys to a post-apocalyptic wasteland inspired by George Miller films like “Mad Max: Fury Road” but with their own me-against-the-world aesthetic. 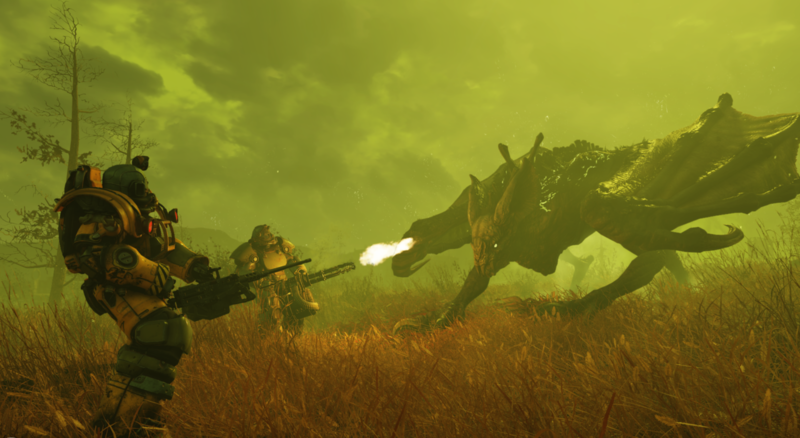 Games like “Fallout 3” and “Fallout 4” are must-plays, titles that I plunked hours of my life into, killed by mutant creatures and people over and over again. But we’re not really here to talk about already-recognized classic games as much as the newest one, “Fallout 76,” which, I’m sorry to say, is a disaster. It’s a nearly broken game that doesn’t work all that well when it’s actually functioning. I’m all for developers experimenting and trying to play with what works instead of just delivering another sequel that’s cut from the same mold as the game before it, but this is one of the most notable missteps of the PS4 generation. First, a little history. The “Fallout” games date back to the late ‘90s, when Interplay Entertainment released a pair of post-apocalyptic games for Windows. The series really went to another level in 2008 when Bethesda took over and ported the series to consoles with the masterful “Fallout 3,” followed by the pretty-damn-fun (but glitchy) “Fallout: New Vegas.” In 2015, “Fallout 4” won several Game of the Year awards. "Fallout" was one of the most respected games series of the last decade. These modern games blended culture from 1950s America with wastelands of nuclear enemies. They encouraged exploration, ingenuity, and hours of inventory management. It’s about what you can find and what you turn it into, with “Fallout 4” placing a new emphasis on building shelters and even communities. 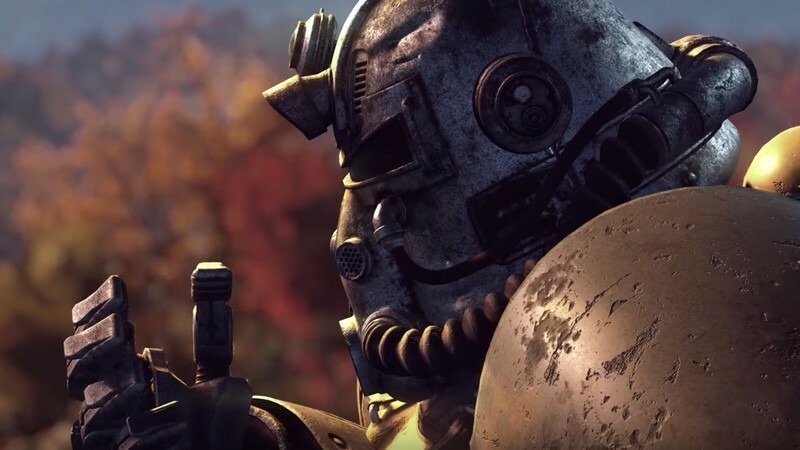 That’s likely what inspired “Fallout 76,” a game that takes the entire experience online. I remember when “Fallout 76” was announced, being in a Gamestop and saying to one of the workers there, “Aren’t Fallout games at least partially about isolation? How does that go with an online-only game?” Yes, “Fallout 76” took the concept of “Fallout” and melded with the MMORPG world, meaning that you have to be online to play. This led to a cavalcade of early problems, including glitchy servers (I’ve only been able to get on half the time I’ve tried and went to play once only to find out that I'd have to wait hours for a massive patch), and, even worse, a game that felt rushed into release. There simply wasn’t enough to do in those early days. Imagine dropping a bunch of teens into an empty room, and then taking away their phones. A few of them would start fighting. The early days of “Fallout 76” have been atrocious in terms of fan response, leading to a 2.7 user score on Metacritic, possibly the worst for an AAA game in the modern generation (although people hated “No Man’s Sky” too). When I say “nothing to do,” don’t think that’s an exaggeration. The early hours of “Fallout 76” are a dull monstrosity, and they have likely led to that low score on Metacritic as well what must be a rush to sell this game back to stores. For a long time, your character is literally wandering a dull landscape, with emphasis placed on thrilling events like finding clean water and shelter. The game was particularly afflicted by coming out in the middle of a season cluttered with exciting titles like “Red Dead Redemption 2” and “Battlefield V,” leading players to ask if they’d rather run the Old West, win World War II, or clean contaminated stream water. The lack of anything to do in “Fallout 76” has even led to groups of trolls banding together just to be awful. Bethesda has already had to ban a group for homophobic attacks on other players. No one is talking about the actual gameplay or thin story of “Fallout 76” at all. In fact, there’s even rumors of a class action lawsuit. It all leads to the distinct feeling, one echoed all over the internet, that Bethesda has asked people to pay $60 for an incomplete game. There are so many performance issues like glitches and bugs—something sadly kind of common for “Fallout” but extreme in this case—that could have been worked out if they had delayed another year. And someone would have likely figured out the storytelling issues over time as well. Bethesda and the remaining fans of this game will likely tell you that those things are coming. Although that number is dwindling, in part because of how poorly Bethesda has handled the launch, including the now-famous bag-gate, in which they promised people who ordered a special edition a fancy canvas bag and sent what looks like a garbage bag. Each “Fallout” game has received a lot of post-release content, and this one feels inherently designed to do that, but you need to provide something on launch that keeps people interested in what’s going to be released later, and they just didn’t do that here. I’ve tried to shine a light on great games and how they compare to great films at RogerEbert.com. Here’s a case where my only advice can be: watch a movie instead.